LONDON -- UK lawmakers have written to Volkswagen Group seeking more answers from the automaker over its diesel-emissions scandal, after criticizing the firm for failing to adequately respond to their queries so far. Paul Willis, the brand's UK boss, has appeared before several British parliamentary committees since September 2015 when the firm admitted to using software to cheat diesel-emissions tests in the U.S.
Around 1.2 million cars are affected by the scandal in the UK with fewer than half repaired so far, prompting anger from politicians and drivers who argue it is unfair that they have not received compensation offered to U.S. motorists. 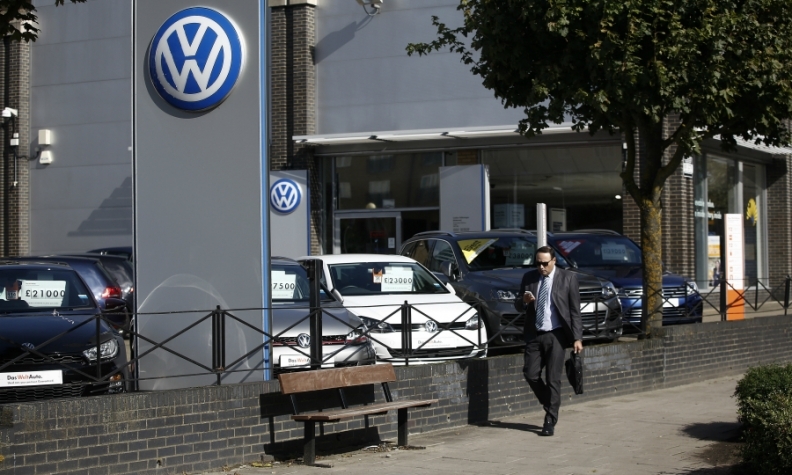 A British law firm launched legal action against VW earlier this year, seeking thousands of pounds of compensation each for UK drivers affected by the carmaker's scandal. During his most recent appearance before the transport committee last month, Willis was pressed on the nature of the remedy and whether Britain had been fully repaid by VW for the cost of retesting models. In a letter published on Wednesday, Chairwoman Louise Ellman asked Willis to respond to eight points including on whether the firm will look into every complaint that the fix had affected vehicle performance, an issue at the heart of attempts by some law firms to take legal action against the company. "Please confirm that Volkswagen will investigate all existing and future cases where the customer is concerned that the fix has impaired the performance of their vehicle and that this investigation will be carried out free of charge," Ellman wrote. VW, which declined to comment on Wednesday, has previously said that there had been no adverse effects from software changes made. Willis has said he has been consistent and honest in his replies to the committee on a range of issues.